O’Rourke combines a soupcon of Swift’s A Modest Proposal and Keynsian garnish in an effort to find out why some places are “prosperous and thriving”. 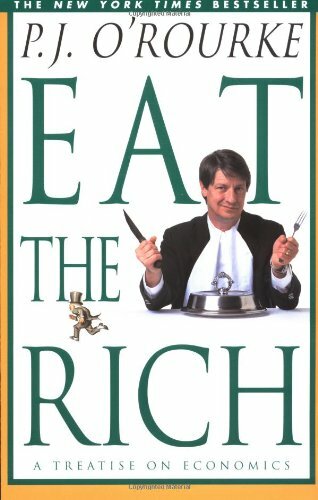 P. J. O’Rourke attended Johns Hopkins. He began writing funny things in 1960s “underground” newspapers. He is a contributing editor at The Weekly Standard, H. L. Mencken fellow at the Cato Institute, and a member of the editorial board of World Affairs. Height: 125 mm or 5 inches, set of six available. In the Swedish village Orrefors in Småland, Orrefors glassworks manufacture high quality crystal glassware and art glass. Founded in 1898, the Orrefors glassworks started to produce drinking glasses in 1913. Orrefors hired the brothers Eugen and Knut Bergkvist, who had worked at Kosta Boda, as well as Fritz Blomqvist and Heinrich Wollman. Wollman originated from Bohemia, which had a long tradition in glassmaking. A major influence was the Art Nouveau work of the French artist Émile Gallé. The clean lines of brilliant crystal of their designs was greatly admired at the Paris Exhibition of 1925. The monarch celebrated her milestone birthday in April and it has been revealed that one of her favourite presents was the £50 beauty product from Fortnum & Mason which her husband bought. She loved the Maison Caulieres extra virgin sunflower, rapeseed and linseed oils product so much that the Queen has requested a bottle is sent to Buckingham Palace every two weeks, according to the Mail on Sunday. A luxurious blend of extra virgin oils to soften and protect the skin. 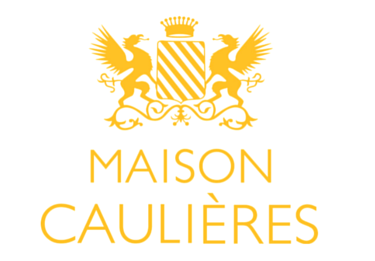 Maison Caulières is a 250 year old family business, nurturing sunflower, rapeseed and linseed oil for their medicinal properties for centuries. These extra virgin cold pressed oils nourish, protect and help regenerate the skin. The orange range of Maison Caulières products are inspired by the summer, and reveal a sensual floral of fleur de genet. Use small amounts in the morning or evening, massaging lightly over the body until it is absorbed. At Desforges de Caulières estate, mainly sunflower, rapeseed and linseed are grown, which were used in the past for family care because of the medicinal properties. Due to their high concentration in essential fatty acids, the Desforges de Caulières oils have beneficial properties for the health as well as for the skin. Are you a collector or looking for something special? We may be able to find, what you are looking for! Restor-A-Finish, Feed-N-Wax, Orange Oil, Steel Wool, Butcher Block Conditioner, Silver Polish, Copper & Brass Polish, Fix Stix. Before you go to the extreme of stripping it, try restoring. with a simple wipe-on, wipe-off process. White heat rings, and water marks, sun fade, smoke damage and most other blemishes can be quickly eliminated. Restor-A-Finish is a unique finish-penetrating formula that restores the original colour and lustre to your finish while blending out the blemishes and minor scratches. 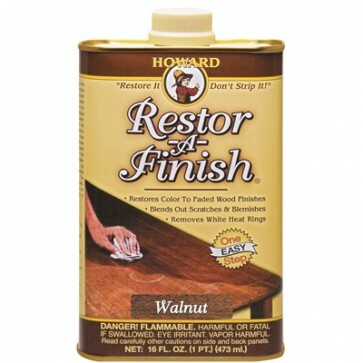 Restor-A-Finish cleans the surface and restores the finish in one step – without removing any of the existing finish. Restore It – Don’t Strip It! Apply Restor-A-Finish (see above) with steel wool and rub hard enough with the grain of the wood to blend out the white effect. If high gloss finish should appear dull due to the use of steel wool, polish it out with Howard Restor-A-Shine polishing compound. Apply Neutral Restor-A-Finish (to prevent darkening of wood beyond temporary “wet effect”) with steel wool. As blisters soften press down while the Restor-A-Finish is applied. Wipe dry, and again later if the surface “blooms” with excess Restor-A-Finish. Apply Restor-A-Finish with Medium Grade (00) steel wool. 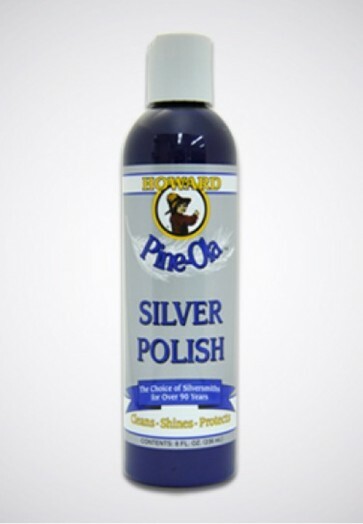 Rub hard enough to smooth out the finish, periodically checking your progress. Checked or crazed surfaces may absorb an excess of Restor-A-Finish and “bloom out” requiring another wiping later. Restor-A-Finish has saved many hours of labour by chemically cleaning and restoring the finish on carved portions of furniture and clocks. Simply apply Restor-A-Finish with a small paint brush or soft tooth brush and wipe off. 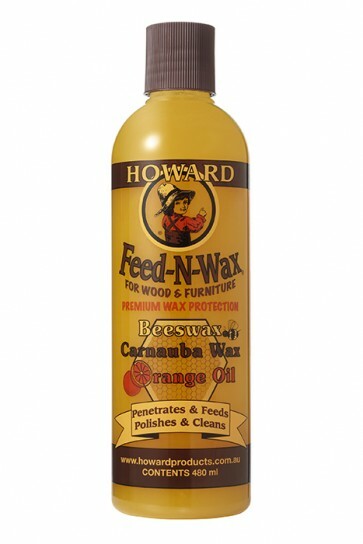 Howard Products recommends Orange Oil to help break down dirt on wood. 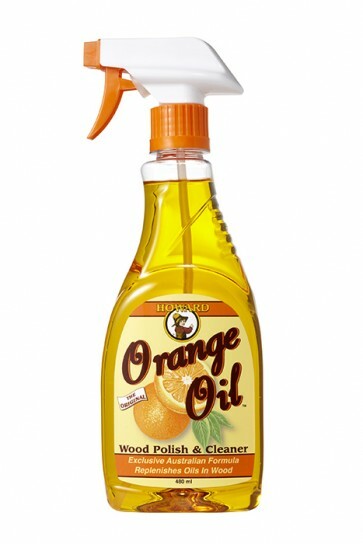 Buy Orange Oil for your wood furniture cleaning and restoration needs! It is also ideal for a number of kitchen surfaces, including most bench-top surfaces and even stainless steel. 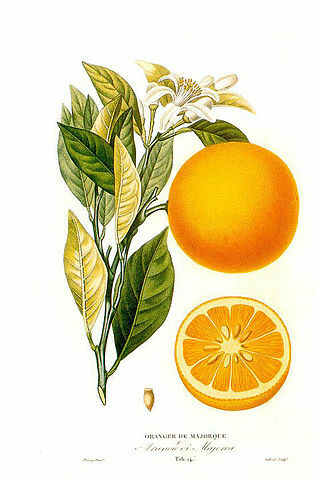 The orange oil component of the blend is a wonderful natural cleaner and the high grade pure mineral oil is good for wood and also modifies the ascorbic acid in the orange oil, making it safe and effective. Always spray a little onto a soft, clean cloth – either a cotton rag or a good quality micro-fibre cloth – and test it on an inconspicuous area. 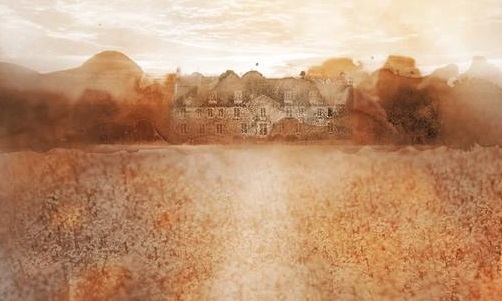 Move the cloth across the surface lightly and briskly and any visible dust will disappear. To remove any grime or build up, ensure that your cloth has sufficient orange oil on it and rub a little harder until surface smudges and grime comes away. Then simply rub and buff until the surface is dry. 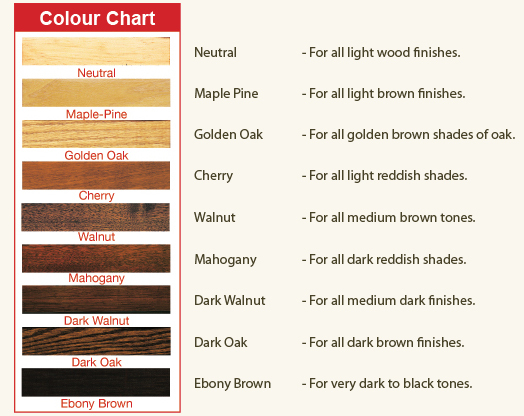 For more serious marks in varnished surfaces refer to information on the use of Restor-A-Finish.